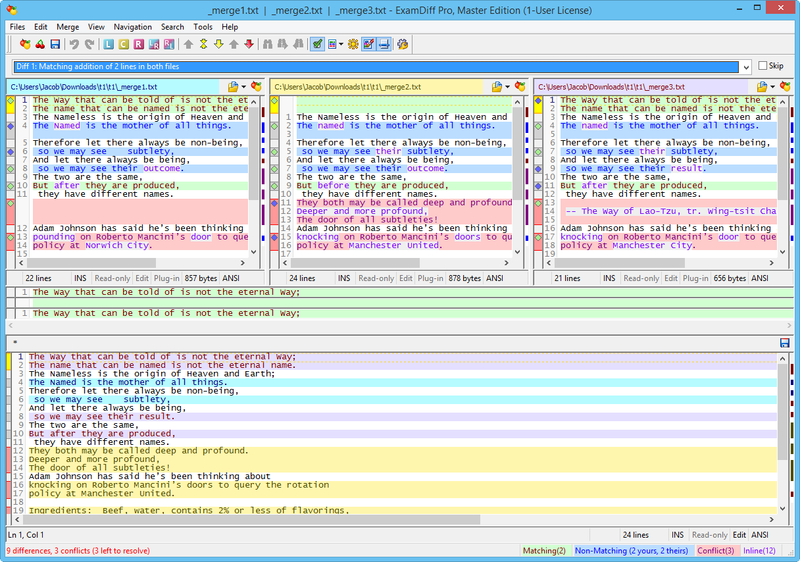 The next version of ExamDiff Pro will feature automatic merge conflict resolution, giving users the option to automatically choose the Left, Center, or Right file in case of a merge conflict and also to mark the conflicts as resolved automatically. 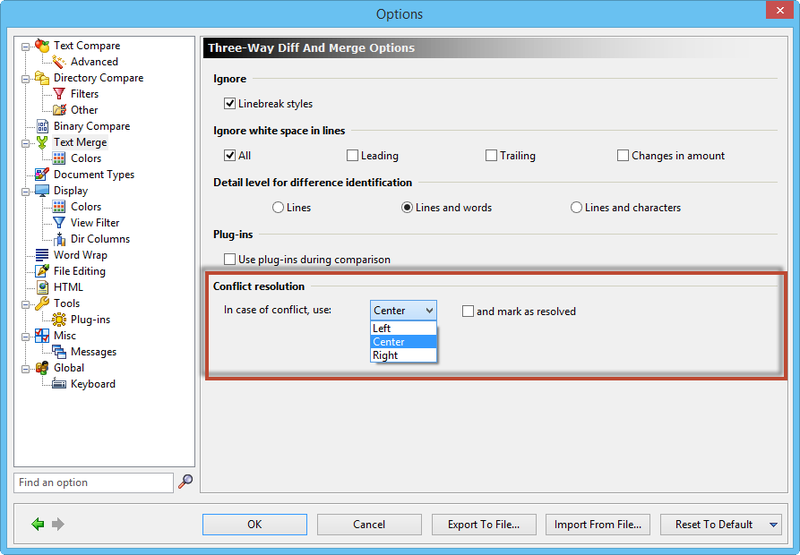 The /preselect command lets you choose which file to use for merge conflicts by default where 1 is Left, 2 is Center (default), and 3 is Right. The /autoresolve command counts these automatic preferences as resolutions. As such, the command listed above will merge the three files, prefer the Left file and consider this preference a resolution to the merge conflict.